VW engineers can’t make up their minds what to do with the engine of the Passat. At first it was longitudinal, slung ahead of the front wheels like an Audi’s. Then, in 1988, they laid it horizontal across the car, like the Golf’s. Then, in 1996, they went back to Audi-style longitudinal. 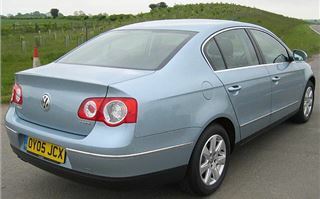 Now we have a new Passat, once again with a transverse engine. This is the biggest, most luxurious Passat VW has ever built. And it bristles with thoughtful features. As well as bottle holders in the doors it has an umbrella holder, like the Skoda Superb’s. Also, like the Skoda Superb it has a retractable bag hook in the boot, to hold your Tesco bags upright instead of emptying themselves across the boot floor. As well as that, in the boot, there are two useful side pockets to stop bits and pieces flying about. 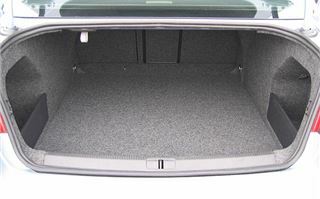 For Golfers, the barriers slide out so you can lay at least a couple of bags of clubs across the boot. And under the floor there’s a full-size steel spare wheel with no speed restrictions attached. The car has an electric parking brake. Press the button marked P and the brake discs are electrically clamped. You can even use it as an emergency brake with 60% efficiency. But the clever bit is it releases itself automatically as soon as you start to drive off again. 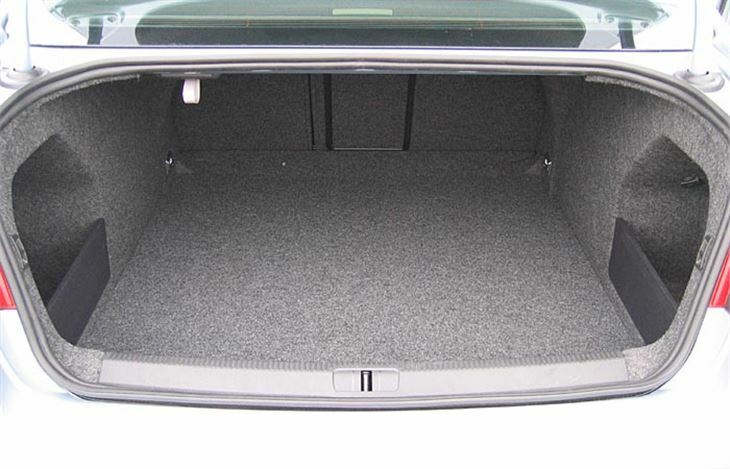 The rear seatbacks fold down 60:40 so you can poke long objects through from the boot. Behind the centre armrest there’s a ski-flap. And the seatbacks and ski flap are all key lockable, for security. 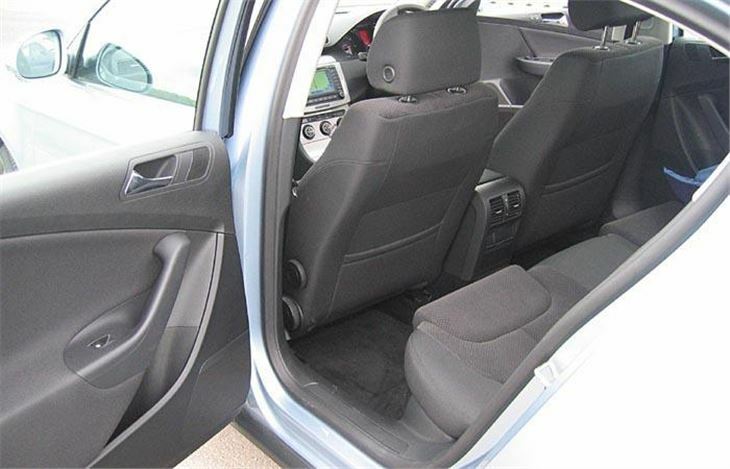 You can sit three across the back comfortably and the centre rear seat even has good lumbar support. 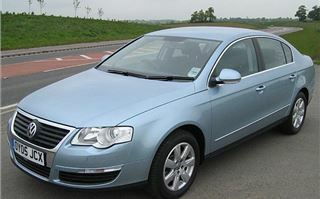 So, unlike the Audi A6, the new Passat is a proper 5-seater. With no handbrake between the front seats there’s room for a big sliding top cubby, with two can holders that clamp themselves around the cans. The passenger airbag is switchable. Goodies to come include a pop out Bluetooth compatible phone keyboard, and, as an extra, a 900 watt Dynaudio sound system. Even the CD multiplayer doesn’t take all of the glovebox. It hinges up out of the way when you’ve loaded it. There are airbags everywhere. Like all new VAG cars the passenger airbag can be switched off to safely carry a baby in a rear facing cradle. And, very sensibly, a warning shows to remind you to switch the airbag back on when carrying an adult passenger. Details of the launch engines are reasonably clear, though not all details have been announced. At the time of writing there are no torque or performance figures for the new piezo/unit injector 170PS TDI arriving in November. 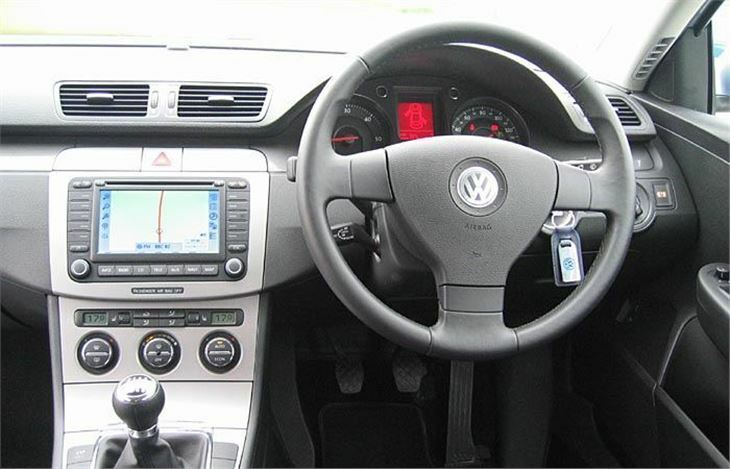 The V6 FSI coming in September is a 3,189cc development of the narrow-angle VR6, as seen before in the Golf Mk IV R32. Though chain-cam, it is not the same as the wider-angle 256PS 3,123cc V6 used in Audis, which won’t fit the horizontal engine bay. The effect of laying the engine across the car instead of hanging it over the front wheels is immediately apparent. 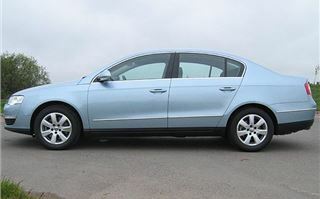 The new Passat is a very pleasant car to drive. Not sporting, but with good ride quality and viceless handling that eventually leads to understeer but at far higher speeds than most drivers will ever reach. There’s not much wind roar, tyre noise or engine noise. And you’re not aware of the complex sounding electronic safety features because the basic dynamics of the car are so good they rarely feel the need to make their presence felt. 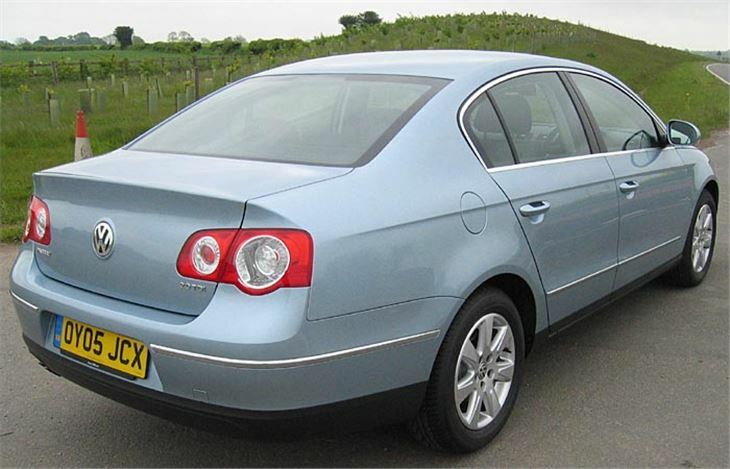 It doesn’t feel as precise or as sporty as a Mondeo and doesn’t bring a grin to your face. But there’s nothing wrong with it and that’s a quality in itself. The 2.0 TDI is geared at around 32mph per 1,000 rpm in 6th, which is relaxed enough without being so high you need to change down to 5th if stuck on a 50mph queue. The 2.0 FSI, on the other hand, is geared at just 22mph per 1,000 rpm in 6th, which sounds very low but happens to suit the power and torque characteristics of the 2.0 litre petrol engine. I guess caravanners could successfully tow with either but the 2.0 TDI has the higher maximum braked towing weight of 1,800kg. The seats are very comfortable. There are lots of places to stow things. I guess the optional satnav could be better as it’s merely CD Rom, like the 1996 Passat’s, but it showed more streets than the DVD system in the car I drove to the launch. Each of the front door pockets is shaped to take a litre bottle of wine or water or whatever. Outside, from some angles the new Passat looks very good. I particularly like the headlights. But from front three quarters the long, straight rearmost shutline catches the eye too much and breaks up the basic elegance of the shape. It will be good to check out other versions as they become available. Particularly the 170PS diesel rival to Toyota’s new Avensis diesel, SAAB and Vauxhall’s 150PS Multijets, Ford’s gruff and ready Mondeo TDCI 155 and the 163PS diesel in the new 3-Series. Let’s just hope these powerful new diesels don’t lose the plot by sacrificing their fuel economy advantage. 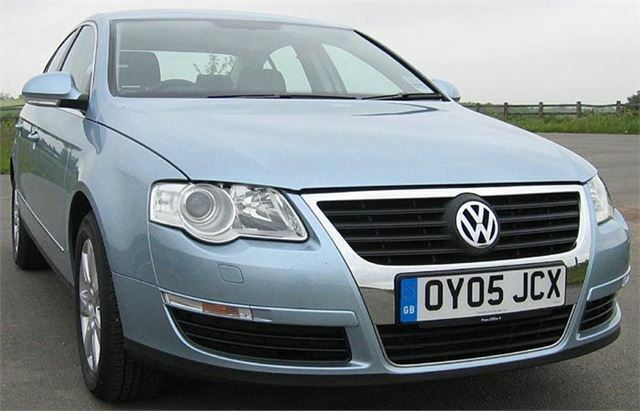 In some ways the old Passat was a rival for the Mercedes Benz C-Class, in that you could buy the same sort of quality with a higher spec for the same money. Like the Honda Accord, the new Passat is even more of a rival to the C-Class. And it’s a much better car than the old model.